Given how popular Bioware’s Mass Effect games were in the previous console generation, it is no surprise that the Canadian developer’s upcoming Mass Effect Andromeda is one of the most eagerly awaited video games of 2017. And it’s likely that those who played the likes of Mass Effect 2 (which is arguably one of the best role-playing video games ever made) grew fond of the Normandy, protagonist Commander Shepard’s spaceship where players could chat with crewmates between missions, research weapons upgrades and the like and also choose which missions to take on next. But since Andromeda features a new protagonist, the game also comes with a new spaceship for players to call home known as the “Tempest”, which according to the preview video below is not only light and stealthy but impressively is also capable of “doing 13 light-years per day”. This will certainly be a good thing as there likely will be many cool planets to visit in Bioware’s upcoming Mass Effect game, but it also looks like the Tempest itself will be rather interesting as like the Normandy spaceship of earlier games it features a research room, meeting room and an impressive bridge area with a state of the art nav system where players will be able to choose which planet to travel to next. 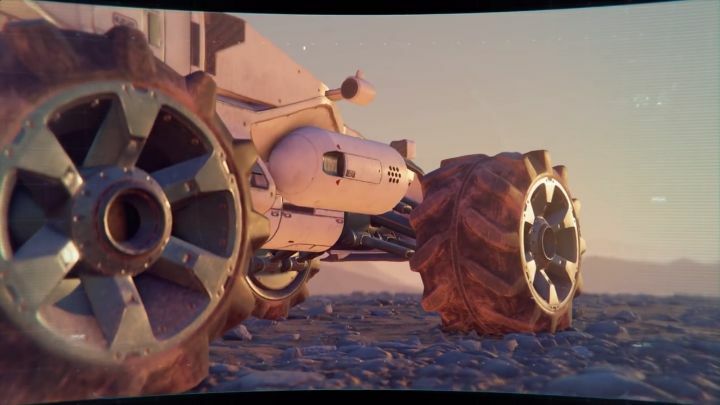 This preview video also discusses the Nomad, an all-terrain vehicle which players will be able to use to explore planetary surfaces, although hopefully it will handle better than the Mako seen in the original Mass Effect game, and be more fun to use as well… But since Bioware has confirmed that Mass Effect Andromeda will be shipping this March, there’s not much more to wait in order to find out whether this Mass Effect game will deliver a gameplay experience worthy of earlier games in this storied sci-fi series.